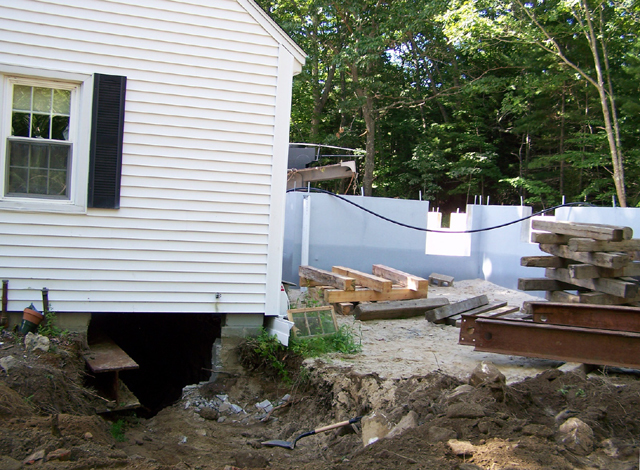 Leveling a house is one of the bigger projects that foundation repair contractors take on. Leveling a home that has slowly fallen out of perfect alignment is a job best left to an experienced contractor and work crew. They have the equipment and background to carefully put your home back to where it was originally, and make it solid and secure. Over the course of several years, the soil underneath and around a home can shift. It can get wet and expand; it can dry out and contract. And even though your house is strong, this kind of constant pressure may be able to shift, raise or lower a section of your foundation. Homeowners who either live in areas where the soil is susceptible to retaining and reacting to moisture, or live on lots where the lot was not prepared to handle water drainage effectively or the soil wasn’t compacted perfectly, tend to have the most problems, but it could happen to almost any home. How Do I Know if My Foundation Has Failed? A failing foundation is often the result of a gradual process and not from a significant, single event. Because it happens so slowly, many homeowners aren’t aware they have a problem. The problem sneaks up on them. How Much Will Leveling a House Cost? One of the biggest factors determining how difficult your project will be is the kind of foundation you have and the style of your house. A single story house sitting on a pier and beam foundation over a dirt crawl space will be less expensive to fix than a two-story house sitting on a full basement. And different companies around the country will charge different amounts based on the method they think is the best way to correct a particular situation. Well, besides getting your home perfectly level again, your contractor will also try to get rid of the problem that caused this situation to occur. It doesn’t make any sense to fix your foundation, only to let the problem come back. In most cases, your home’s problem was caused by excess moisture. Your hired company will address your lot’s drainage issues in order to keep rainwater away from your home. Depending on where you live and what kind of soil you have, your contractor may have other ideas as well.